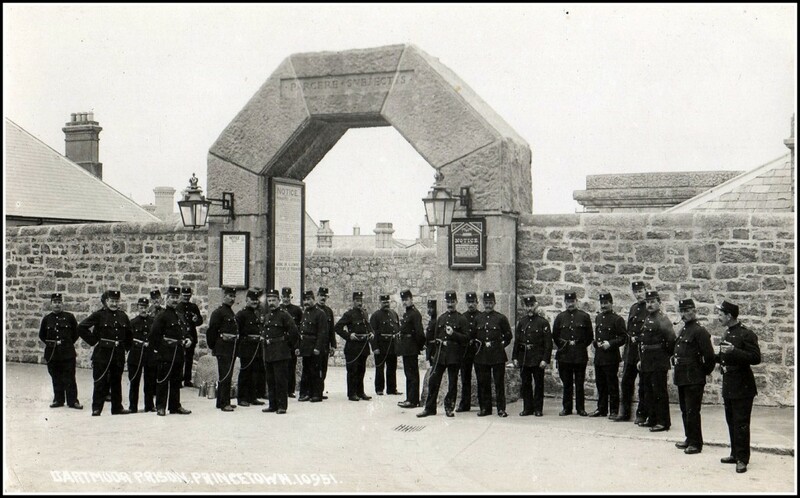 Dartmoor Prison – this truly iconic and World famous prison is over 200 years old, work being started on it in 1806. It was originally built to house French and American prisoners of war, both countries with which the British were at war. The Americans started arriving in 1813, captives from the War of 1812 between the USA and the Great Britain. The prisoners suffered badly from disease, due to insanitary conditions and overcrowding, with 271 Americans (and 11,000 French) dying over the course of just three or four years. These days the prison is still fully operational, housing approximately 670 prisoners. It has an intriguing and quirky museum which presents much information about the history of the prison and the people that have lived there, and for my guests I can arrange private guided tours with one of the knowledgeable and charismatic curators. Not only do guests get many inside stories about the prison whilst looking around the museum, they also get taken to the church that was built by the French and Americans over 200 years ago, and into the grounds of the prison to see the memorials to the poor men that died back then, situated on the ground where they are buried. Please see The Ultimate Dartmoor Experience. Torcross – This small village, standing at the end of the long strip of pebbly beach known as Slapton Sands, doesn’t give away many clues to its American connection, apart from one – a Sherman tank! But this tank reveals a tragedy of great sadness from many years ago. 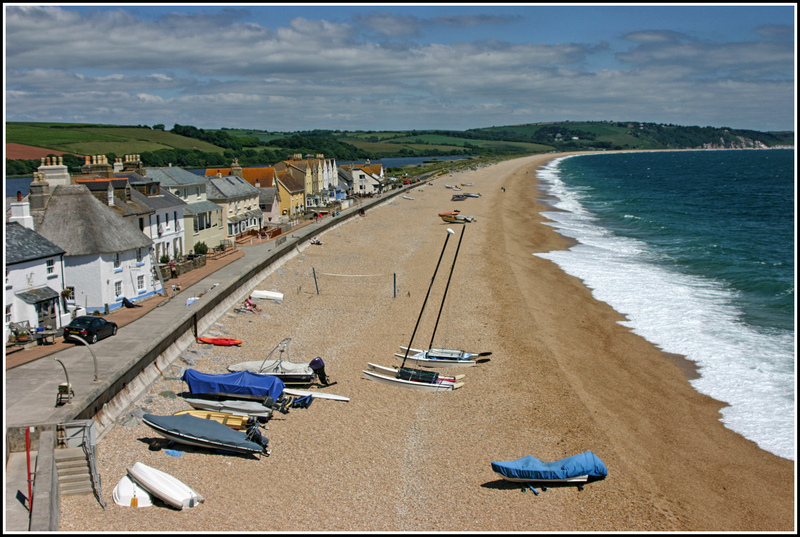 In 1943, the British government selected Slapton Sands as being appropriate as a replica for Utah Beach, with a gravel beach, followed by a strip of land, then a freshwater lake. A training ground was established, 3,000 unfortunate locals were evacuated, and 30,000 American troops moved into the area. This was all part of Exercise Tiger, a military operation organised to take place in April 1944 in order to practice for the forthcoming D-Day landings. However, all did not go according to plan. Due to poor coordination and communications problems, friendly fire and an attack by German E-boats tragically caused the deaths of nearly 1,000 American servicemen. This whole episode went largely unnoticed due to survivors being sworn to secrecy, as well as it not being reported until August 1944 at the same time as the casualty lists for the D-Day landings themselves. Over the next few decades it remained unacknowledged until the 1970s when Ken Small, a local hotelier, started finding evidence of what had happened on Slapton Sands whilst beachcombing. 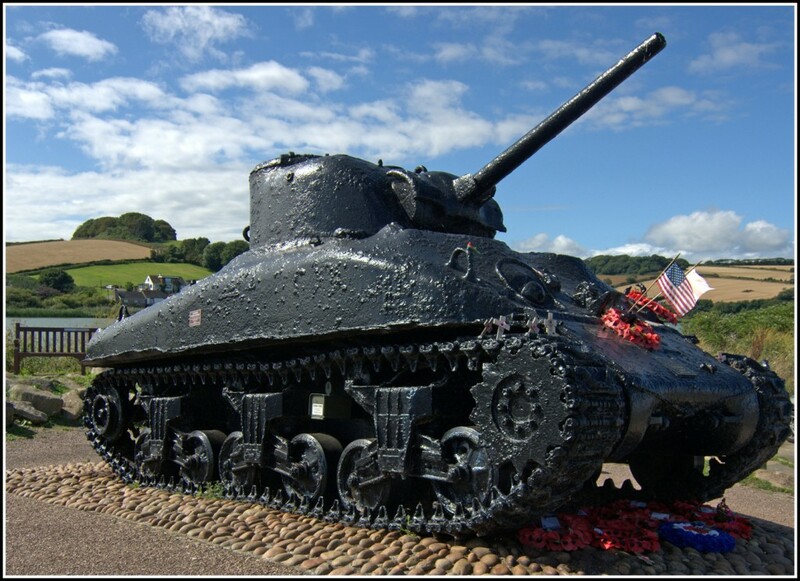 He investigated further, and with little or no support from the US and British governments, organised for a Sherman tank to be raised from the seabed in 1984, and installed as a memorial to those that lost their lives. Small was later honoured by the US military, and a prominent plaque was installed next to the tank listing the names of all the victims. Further memorials have since been installed at Utah Beach in France, New Bedford in Massachusetts, and Mexico, Missouri. 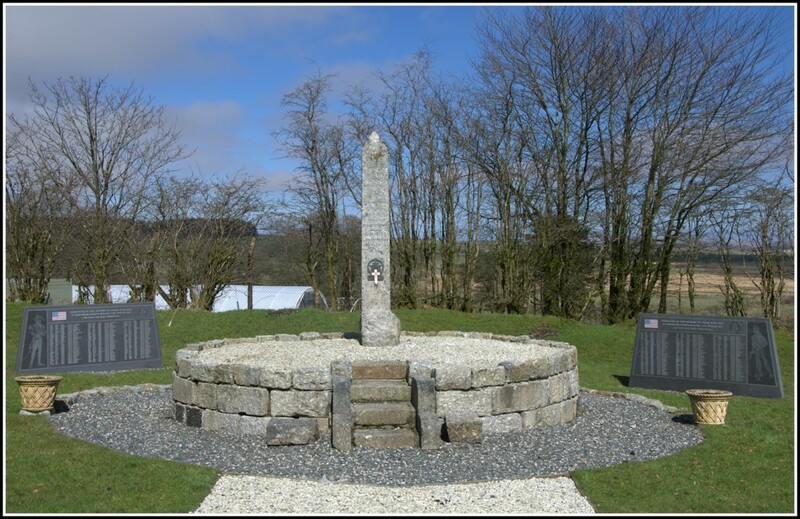 These days I take my guests to see the tank and memorial when on tour in the area. 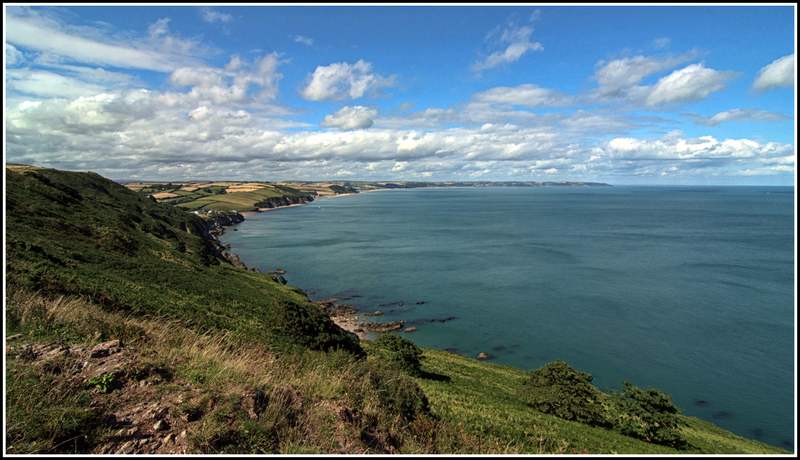 It’s situated on a beautiful stretch of coastline, running from the historical naval town of Dartmouth to Start Point, with incredible views and great potential for walking. 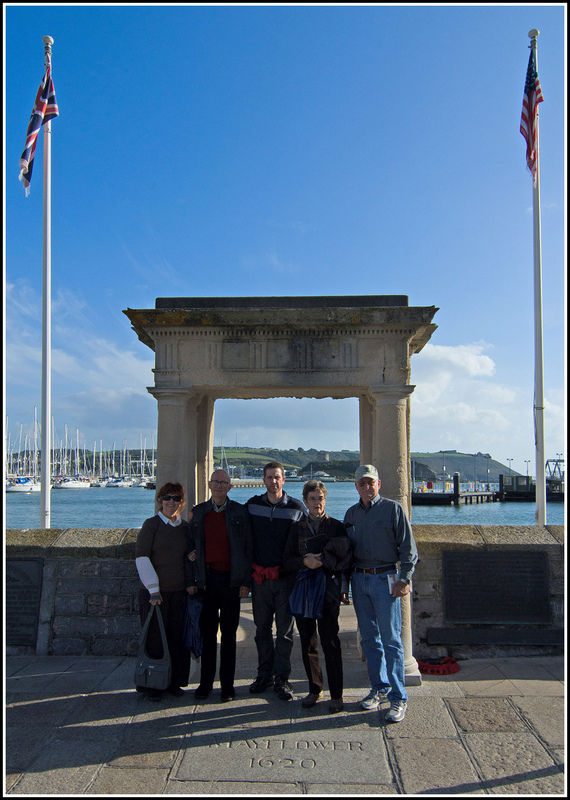 Mayflower Steps – these famous steps mark the approximate final departure point of 102 passengers who set sail from Plymouth on September 6th 1620, in the Mayflower. After a 2,750 mile voyage across the Atlantic Ocean, taking 66 days, the ship came to Provincetown Harbour, and shortly afterwards the crew landed on American soil. Here they founded America’s first permanent colony at what is now Plymouth, Massachusetts. A year later the first Thanksgiving was celebrated here, although only 53 of the original 102 passengers survived. Of great note is the fact that in just over five years time, in the year 2020, there will be huge celebrations in Plymouth to mark the 400 year anniversary of the Pilgrim Fathers’ incredible voyage. Genealogy – as readers can guess, there are a huge number of people living all over the World whose descendants once lived in Devon. These days genealogy is increasingly popular, and people are making great efforts to become more familiar with their forebears’ origins. Devon is no exception for these family historians to take great notice of, since so many people left this fine land, in the hope of finding something (even!) better. The enticements of religious freedom, gold and other riches, greater land ownership and the avoidance of war (something the British were often involved in!) were all significant enough to encourage people to leave what they knew, and try living in very different and far flung locations. In the time that I have been running Unique Devon Tours, the most popular of all my tours has been the family history tours that I offer. I’ve had Americans and Canadians come out on tour with me, all avidly trying to bring colour and life to all the written fact that they’ve acquired. When I visit churches and look through the visitors’ books, I always spot a whole host of foreign signatories, listing reasons such as “Here to see my great, great grandfather’s grave” or “following in my family’s footsteps”. 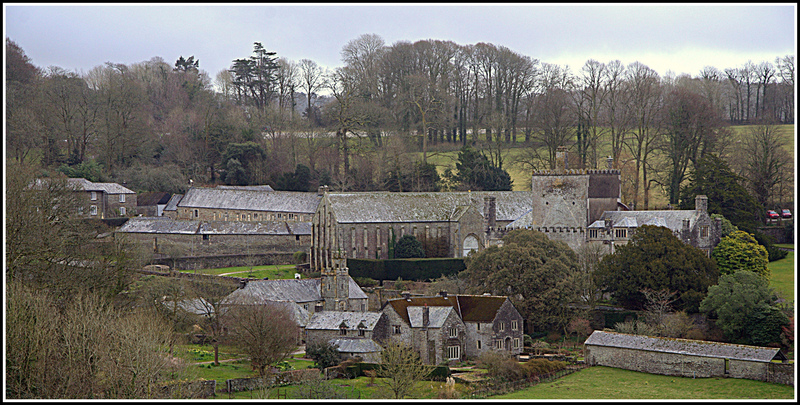 So, if you would like to walk on the same path as your great, great, great grandmother, or push open the same church door that your great, great uncle once pushed open, please get in touch with me, as genealogy tours are truly an area of expertise for Unique Devon Tours, as you can see from this recent review from one of my American guests: amazing family history tour Tripadvisor review. The Toronto Connection – On 25th February 1752, John Graves Simcoe was born in Exeter, Devon’s capital city. After a good education, he entered the military, going on to fight in the American War of Independence. In 1791 he was appointed as the first Lieutenant-Governor of Upper Canada. Simcoe arrived in the new province in June 1792, with his wife and two children, and in what was still a virtual wilderness he established a British system of government. The settlement that he established became known as York, and went on to become modern day Toronto. Simcoe also introduced the abolition of slavery in Upper Canada, long before the rest of the British Empire abolished it. 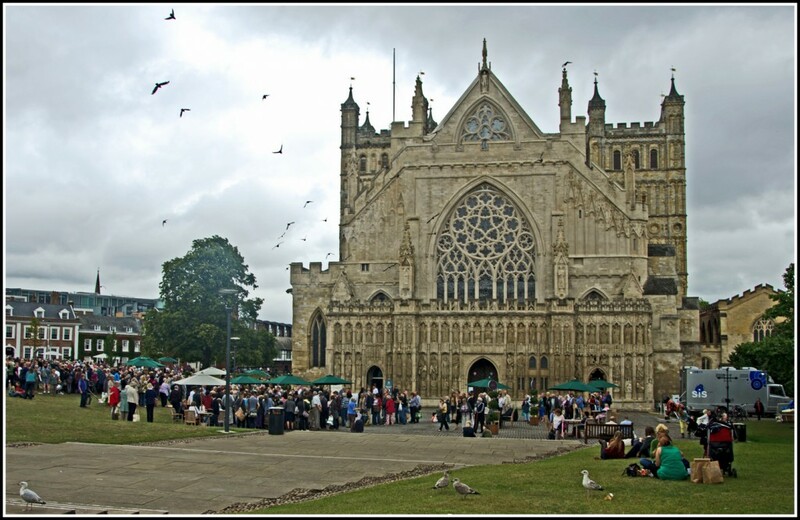 These days, there is a monument to Simcoe in Exeter Cathedral, which guests can see as part of the Excellent Exeter Day Tour. 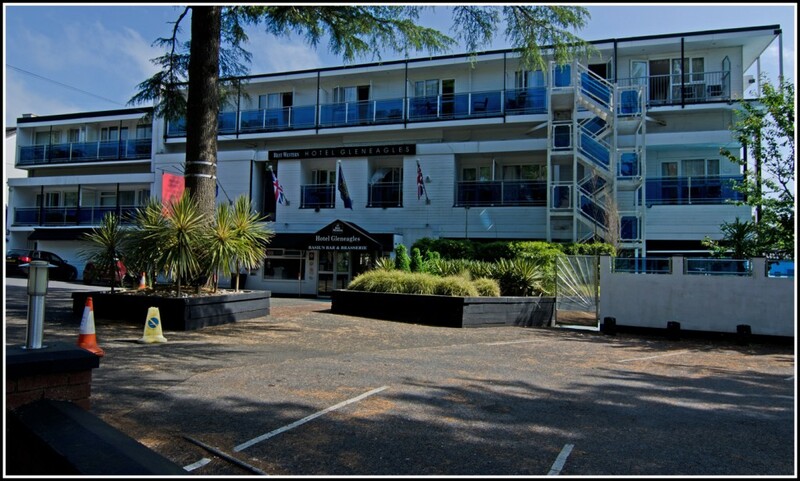 Explorers – Devon, with its great naval and seafaring history, was always bound to produce explorers, and in turn they were bound to step foot on American soil in its early days before colonization. Sir Francis Drake – Drake was born in the middle part of the 16th century in Devon, and is arguably Britain’s most famous sea dog. His achievements included completing the first circumnavigation of the world by an Englishman, and he was one of the captains instrumental in defeating the Spanish Armada in 1588. On 17th June 1579, he landed on the coast of California, claiming the land of Nova Albion (New Britain) in the name of the English crown. The site of his landing is now a national historic landmark in the USA known as Drake’s Bay. Back in Devon, I can take my guests to the incredibly impressive house of Buckland Abbey that Drake lived in for many years, where his drum can be seen, as well as a recently discovered Rembrandt. 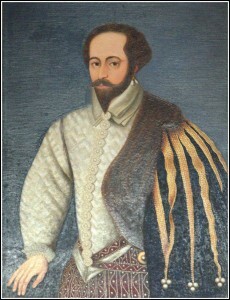 Sir Humphrey Gilbert – born in Devon in 1539, Gilbert was a famous explorer and soldier famed for claiming Newfoundland in 1583 in the name of the Crown. He served during the reign of Queen Elizabeth, was half brother to Sir Walter Raleigh and was a pioneer of colonisation. Compton Castle in Devon, where the Gilbert family lived for 600 years, is an impressive small castle that I can take my guests to if they so wish. Sir Walter Raleigh – one of the World’s most famous explorers, Raleigh was born in 1552 and bought up in the house of Hayes Barton in the village of East Budleigh, Devon. He was instrumental in the English colonisation of North America, and is well known for popularising tobacco in England. He secretly married one of Queen Elizabeth’s ladies in waiting without the Queen’s permission, and was then sent to the Tower of London. He was released shortly afterwards, but returned years later for a much longer period. He was eventually executed in 1618 after a life filled with adventure. We can visit the Church in East Budleigh where his family’s pew still remains today (and, funnily enough, where my grandparents are buried). 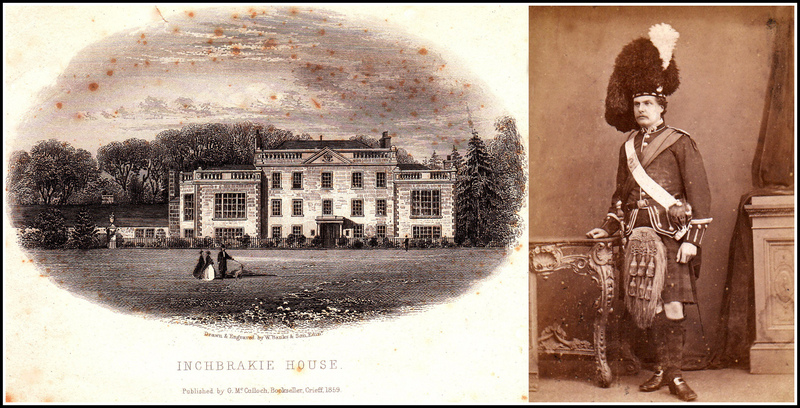 Lieutenant Patrick Græme – a slightly tenuous link, but my very own ancestor, and 12th Laird of Inchbrakie, the estate that we owned in Scotland until the late 19th century, was one of the pioneers of Dauphin in Manitoba, Canada. It remains a mystery as to why he settled in the wilds of Canada when he was responsible for the family estate in Scotland, and the beautiful house that went with it, but meanwhile other members of his family had settled in Devon, where Patrick visited when he finally returned from Canada to look after his ailing sister. Film and television – one of the main things that my North American guests talk to me about is the fabulous British television and film industry, and its many great creations. TV shows such as Downton Abbey, Sherlock, Doc Martin and Fawlty Towers always come up in conversation as we drive around the distinctive lanes of Devon. Well, Fawlty Towers, with the infamous Basil, was based on a visit that the Monty Python team made to Torquay, in Devon, in 1971. They were staying at Gleneagles Hotel, and had so many problematic encounters with the eccentric manager, that John Cleese decided to pen the script for what has become one of the UK’s favourite comedies. The Hound of the Baskervilles, adapted for TV and film more than any other book, has nearly all of its origins in Devon, far more of which guests can find out about on The Hound of the Baskervilles tour. Much of the 2011 film, Warhorse, was filmed on Dartmoor, Devon’s famous and beautiful national park. 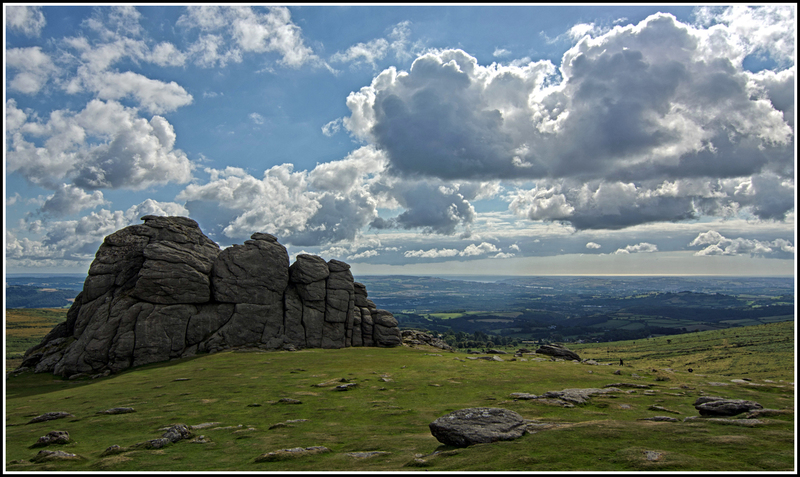 Steven Spielberg, the director, said about Dartmoor, “there’s no place like it in the world. When I got to Dartmoor I suddenly realised I had a third character that I needed to include in War Horse and that was the land and the sky. Not a single shot in this movie has sky enhancement or a replaced sky or landscape. That is Devon and Dartmoor, and those are the tors on the moors. It is extraordinary country.” I introduce my guests to the majesty of Dartmoor on The Ultimate Dartmoor Experience.